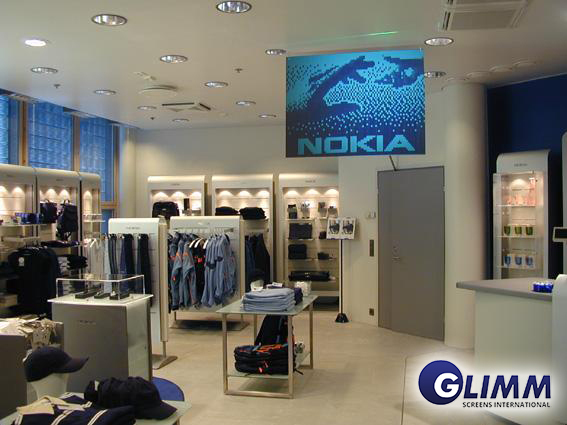 Glimm Display is a manufacturer of Projection screens. 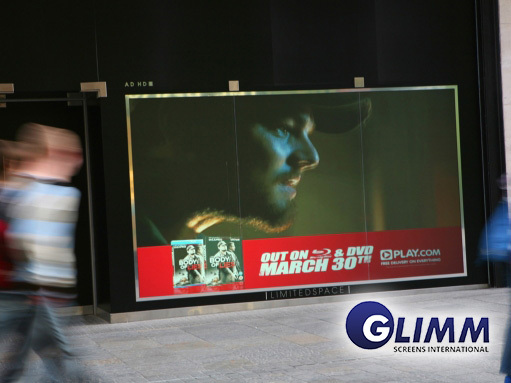 In 2001 Glimm discovered that certain types of acrylic do not provide high clear projection images suitable for the projection market. 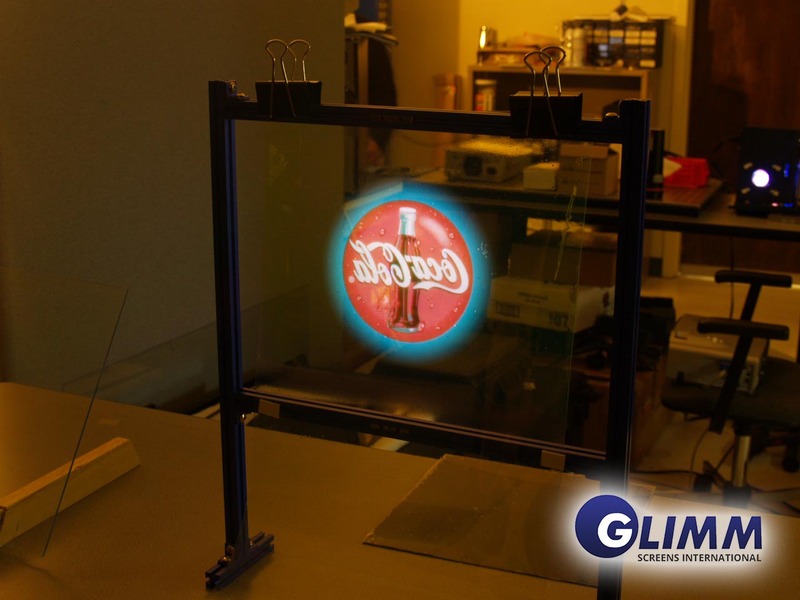 Together with acrylic manufacturer Glimm’s R&D department developed new types of acrylic to improve the quality of image projections on acrylic screens. 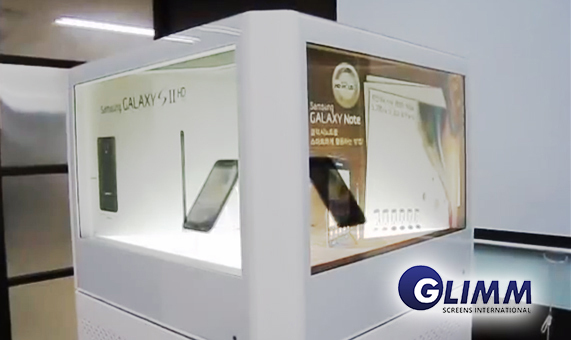 What makes our screens special is that we changed the polymer structure of the material, optimizing the light transmissions, transparencies of the materials, improved viewing angles (180*). and to improve light diffusion and gains. Some of our top products now are the 100% clear Hologlimm™ screen and the Greyfire™ sunlight screen. 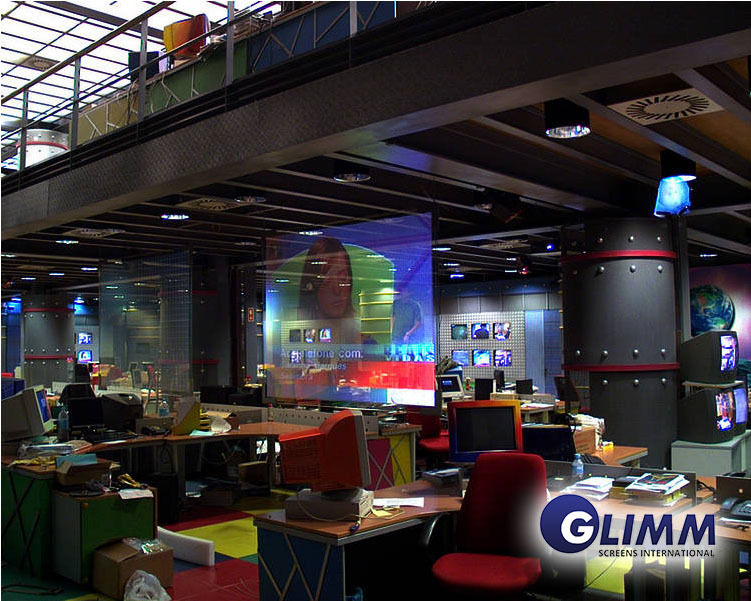 Glimm has its own manufactured projection film line, which are also available fully assembled on glass or between glass. 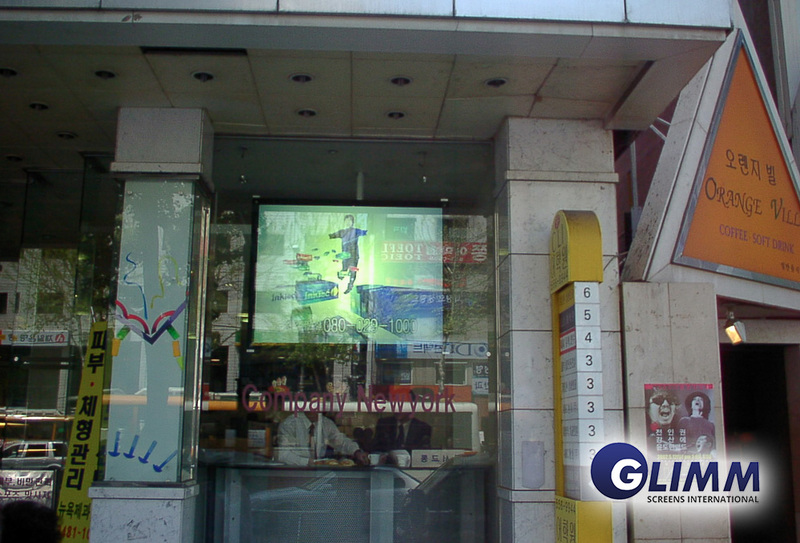 There are 5 types of projection films that can be attached to or put in between different kinds of glass. 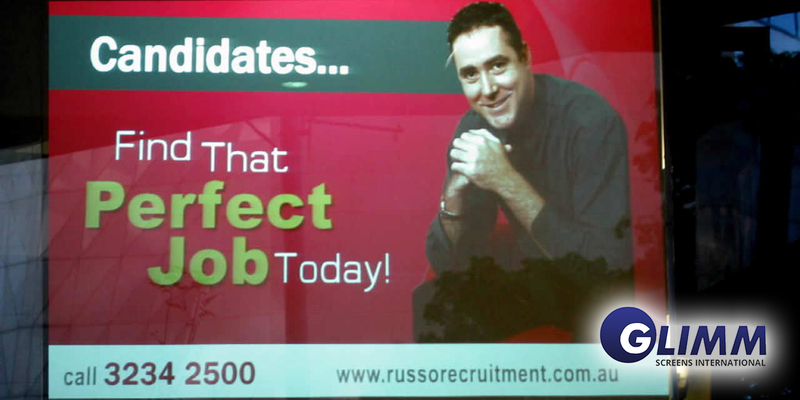 The projection film has a maximum width of 2.4 meter, and can be 7 meters long maximum. 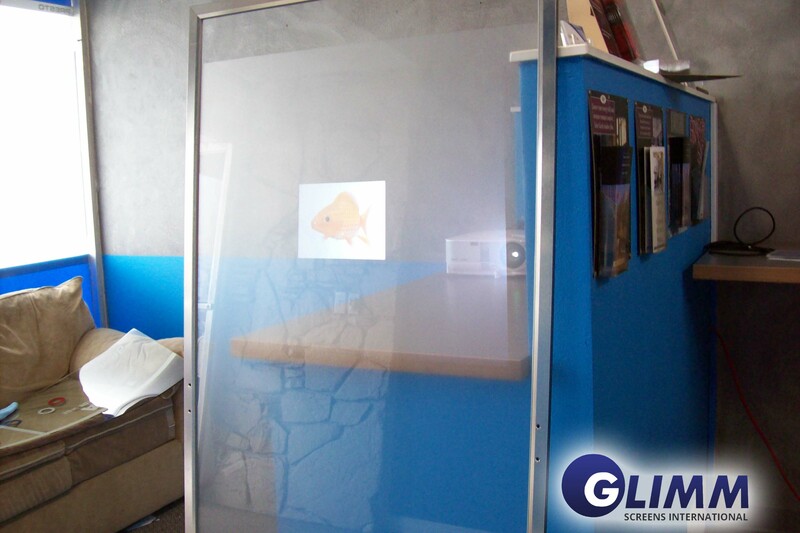 Glimm screens has different agreements with different glass suppliers in Europe who can laminate these films for you. Each film type has it’s own performance enhancements. This Blackfire™ is a black rear projection screen, filled with millions of micro lenses that give the image a bright effect. 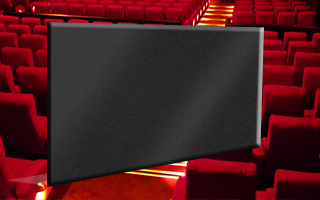 As projectors do not project black, the black projection film of the Blackfire™ gives you superior contrast in your projection image and the micro lenses provide two times more brightness than normal projection screens. 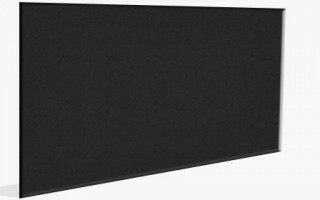 The Blackfire ™ is available up to 2.00 x3.00 m, 3-5mm thick and in 4:3 or 16:9 format and requires only a 3000 – 5000 ansi lumen projector. We can also produce larger sizes on request. The Glimm Greyfire™ is the only rear projection screen which will perform in direct daylight, but its suitable for almost every application. It is only a few millimeters thick; it is light and durable; it can be used in daylight in shop windows; it is available in up to 2×3 meters. 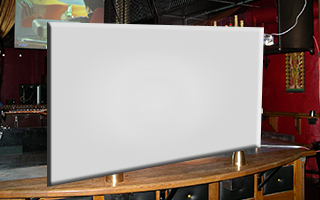 The Greyfire™ is a projection screen that will provide a clear projection image in daylight. 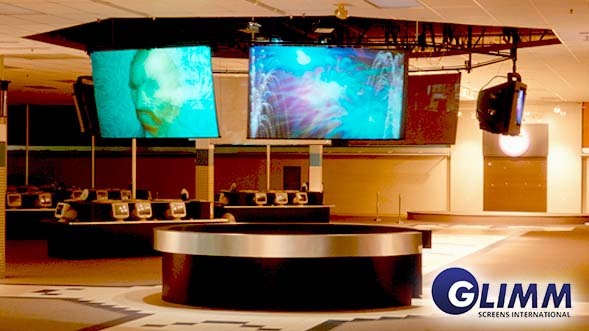 Boardroom presentations can take place without dimming the lights; shop windows can be brought to life with video displays; point of sale advertisement can entertain in high traffic areas; museum exhibits can add another dimension in informing visitors. The HoloGlimm is a rear-projection screen of exquisite quality. It comes in a 100% and 95% transparent version. The screen is manufactured from a transparent acrylic, the patented applied Micro-lens structure provides the most transparent screen structure available on the market. 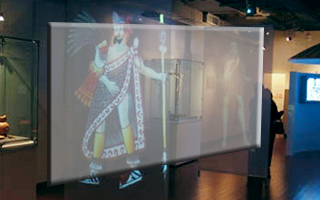 This allows the viewer to see trough the screen, with or without any image presented by a projector. The HoloGlimm is available up to 2.00 x 3.00 meters size and 3-5 mm thickness. 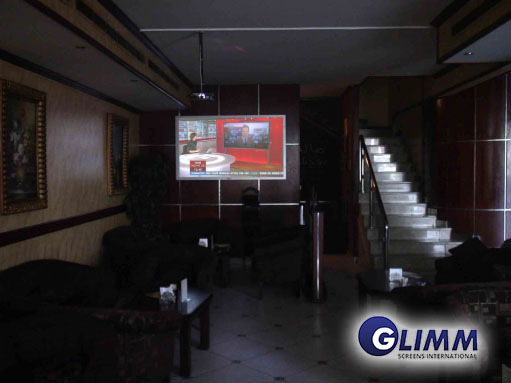 The DoubleGlimm™ is a projection screen which shows the projected image on both sides of the screen. The DoubleGlimm uses a unique technology that produces a perfectly view-able image on both sides at the same time with 180° angle of visibility, creating the world’s first 360° projection surface. The DoubleGlimm is 3-5mm thick and available up to 3000 x 2000mm. We can also produce larger sizes on request. The high-tech, high-impact projection solution for high-light environments. Crisp, brilliant images in high ambient light areas and from any viewing angle. 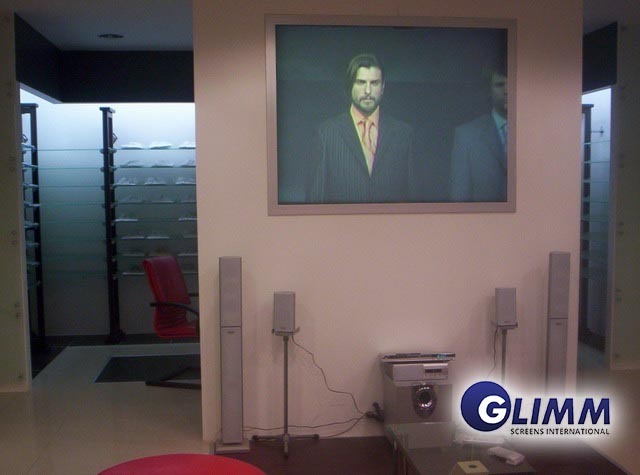 The Glimm Glasfire™ Rear projection screen combines the focusing power of an optical lens with a black, light-absorbing layer to produce high contrast images, even in brightly-lit environments. All of our screens can be extended with interactive multi-touch possibilities. There are several techniques available to extend your projection screen to a single- or multi-touch screen. 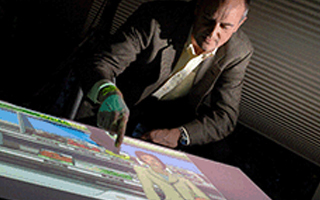 You can read more about these touch technologies and their application purposes here.